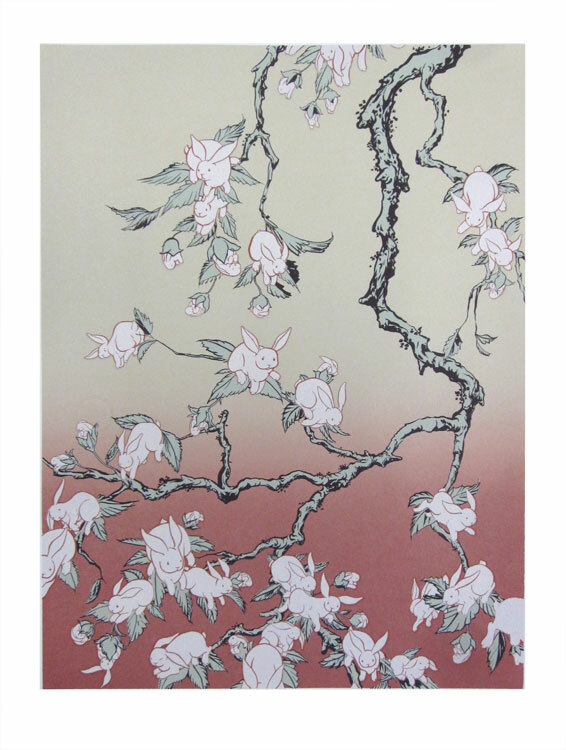 Kozyndan have struck again with another fully metallic silkscreen print of their popular “Bunny Blossom” image. It’s being released on their website in an edition of 200. These are going to move fast so make sure to get yours while you can.